We’ve all been in a situation when someone has a negative opinion about you, your looks or your actions – and they tend to pinpoint it in a hurtful way. These situations can be really unpleasant and most importantly – they can be damaging to your self confidence, especially if you allow these things to affect you. While it’s important not to let other people opinions to control you, it may be hard because we’ve been taught to listen to others while we were growing. We were conditioned to “respect the adults” and “listen to what your momma says”… But now you aren’t a child anymore. You have the right to choose which opinions should affect you, and which ones you should let go of. In this article, I want to show you why and how you can stop caring what other people think of you and how you can protect yourself from their negativity. One thing is clear – it’s your life, and you’re the only one who’s living it. If you let other people live your life for you, you’ll always feel pushed and ruled. While you should always evaluate whether the criticism you’re getting is constructive (it might very well be), pay attention to things that make sense only, and let go of everything else. If you find it hard to feel complete when there’s a lot of criticism coming your way, try to analyze it and see if there’s anything you need to change. You’ve found out that your coworkers were saying negative things about you behind your back. They said that you’re a people pleaser because you try hard to succeed in your work and try to impress your boss with it. Probably not. Those coworkers think you are trying to be better than them – and it might be true! But is this bad? No, because you are doing what you have to do to grow professionally and improve your career chances. This can’t be bad – it’s what you should do if you want to improve your chances of promotion. Is there anything you should change? It’s up to you. You can try to find a connection with those people and explain to them why you’re “tryharding” so much. Or, you can choose to ignore those opinions and focus on improving so you can achieve your goals and rise over those who were mean to you. Just don’t let them live your life for you. People are different and what seems acceptable to one person, might look like a joke to another. For that reason, it’s really impossible to be liked by everyone (unless you’re trying extremely hard, but I don’t see any point in that). It’s pretty unrealistic to expect everyone to love you. When I was beginning to write this blog, I’ve experienced mixed feedback. Some people were happy and grateful for the things I’ve shared, while a few others thought it was useless information, mainly because it wasn’t something that didn’t align with their particular lifestyle. While it could have been easy to give in and react to these negative comments, I decided to keep doing what I’m doing and continue serving people who found my content helpful. It was the right choice that helped me to attract even more readers who loved my blog. In reality, it’s just impossible to please everyone. You should always focus on the people that are creating a positive value in your life and stop trying to please others. They are too hard to satisfy anyway. There are a lot of people who are simply what we call “haters”. These people want to spread their negativity on everyone around and it’s easy to get in their way, especially on the internet. And while their behavior is often originating from their own weakness or lack of confidence, this kind of people tend to thrive on lashing at others or trying to make them feel weak. They envy your looks, capabilities or success. They feel insecure around you and therefore try to humiliate you. They’ve been hated and picked on themselves when they were young. They’ve learned such behavior from their parents and relatives. No matter what the cause, their hate is originating from the inside and you’re probably just an easy target to make them feel better for a second. Such encounters are unpleasant, but haters should be something that you can quickly rule out as nonsense and move on with your life. Once you develop a thought of this hater being a weak person who’s just trying to compensate for his own lack of confidence, it gets a lot easier to repel those attacks. 1. You need to decide on your core values and priorities. Once you’re clear with what is your preferred way to live this life, it gets easier to protect yourself from opinions that could try to change it. A great way to do that is by doing a Self Discovery journey. 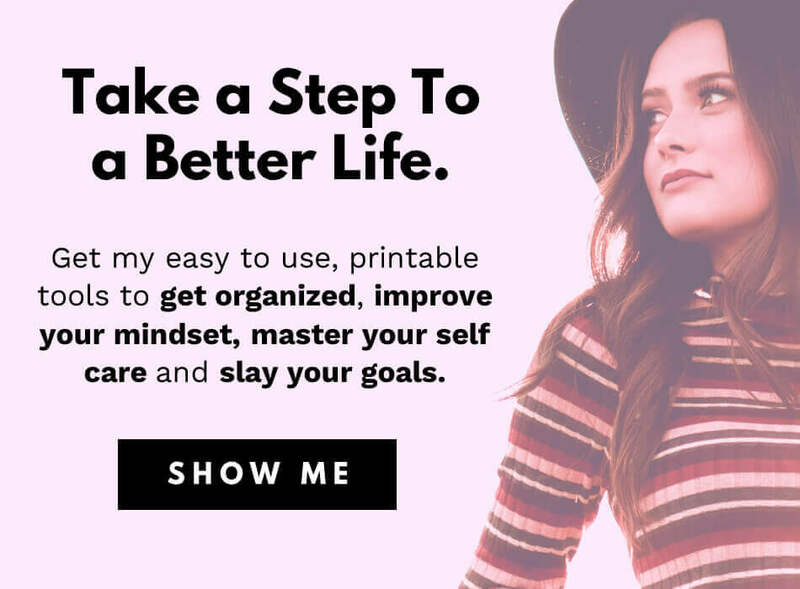 You can do that with my “30 days to myself” self discovery journal which helps you to create a real picture of everything you are – your values, your weaknesses, your strengths, victories and more. It helps you dig deep to see who you are, what your principles are and how you want to live your life. Once you know all of that, it feels like an invisible shield that you can put on whenever someone is trying to inject their opinion in you. 2. Always focus on doing what’s best for you. I’m not talking about being selfish or arrogant… I’m talking about not letting anyone to affect your wellbeing or choices you have to make in order to stay healthy and happy. It’s you who will have to live with your decisions. So trust your gut, always check the facts, ask for help from those whose opinion you DO respect and focus on what’s right and positive. I hope these tips will help you to feel braver and more confident regarding other people opinions. Let’s sum the key points up! 1. Remember that it’s YOUR life, not theirs. 2. Stop trying to please everyone – it’s impossible. 3. Remember that some people are just haters who are sad in their own life. 4. Make sure you have your values set straight and always focus on what’s good for YOU. Do you find it hard to stop caring what others think? Share in a comment at the bottom of this page!